"Basically, I'm just passin' through here on my way to Australia!" 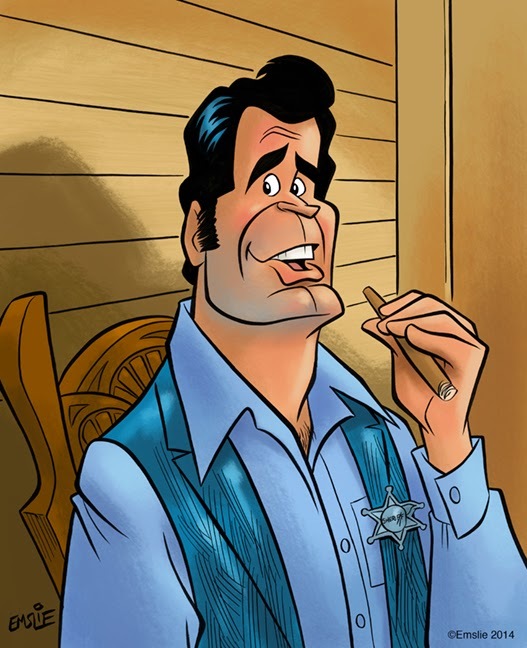 As has become a regular annual custom on this blog, I wish to celebrate the birthday today of James Garner, my all-time favourite actor. For me, watching Jim in one of his many films or on The Rockford Files TV series is like wearing a comfortable old sweater. 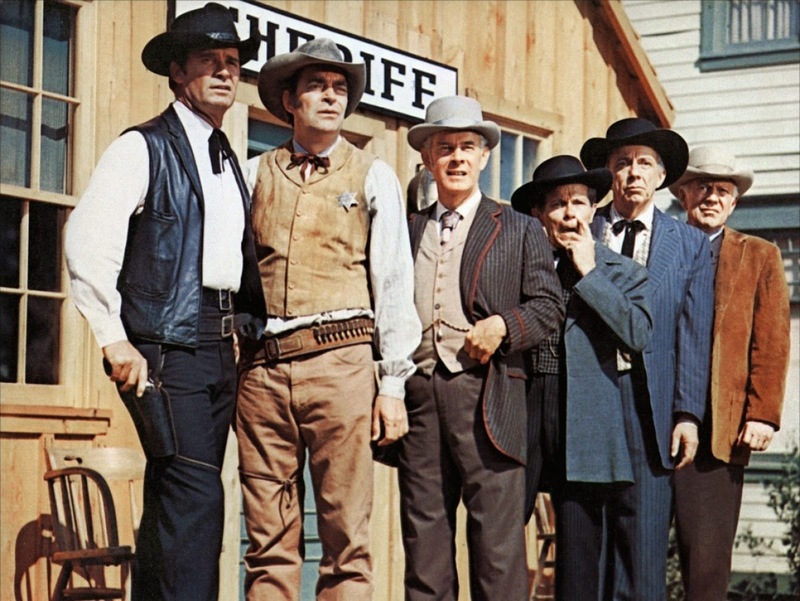 I've got quite a few of his films in my DVD library, but the one I always turn to the most is his 1969 western comedy, Support Your Local Sheriff! In fact, between this film and his performance in Marlowe, also in 1967, Jim seems to have perfected the on-screen persona for what would become his most famous portrayal of all, as private investigator, Jim Rockford in The Rockford Files a few years later on TV. In Support Your Local Sheriff!, Jim plays Jason McCullough, a fellow casually making his way west with a goal of someday reaching the great frontier of Australia. Hearing of a gold rush in the small town of Calendar, Colorado, Jason decides to try his luck at finding gold to finance his trip Down Under. Turns out the town is run by a family of desperadoes by the name of Danby, including Walter Brennan as the patriarch, and Bruce Dern as his trigger happy, no-good son, Joe. When Jason first rides into town, he witnesses a shootout in the local saloon with Joe Danby suckering and gunning down some yokel in a dubious claim of "self defence". Support Your Local Sheriff! also features Harry Morgan as the town mayor, Olly Perkins, and lovely Joan Hackett as his feisty, yet humorously accident prone daughter, Prudy. In my opinion however, the standout performance in the film is delivered by veteran western actor, Jack Elam, as Jake "The Town Character", who very reluctantly allows himself to be deputized. With his craggy face and wall-eyed grimaces, Elam is just a delight in every scene he's in. So, Happy Birthday, Jim! And thanks for creating one of my favourite comedies with Support Your Local Sheriff! Labels: caricature, James Garner, Support Your Local Sheriff!